If you are anything like me, and I'm guessing you are, since you're reading this blog, time is of the essence. TIME to sit down and create is something of a challenge that some people are faced with. Life sometimes just gets in the way. 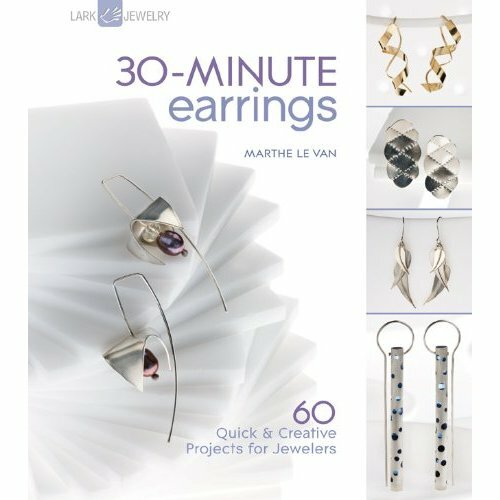 I was fortunate to get a copy of the new 30 Minute Earrings by Marthe Le Van, and I am giving it away here to one lucky winner. This book is a must have, for the jeweler on the go, for the busy body who doesn't have a whole lot of time to create. You can do any of the 60 projects (YES! 60!!) in 30 minutes or less. This book is geared toward the intermediate level jewelry designer. The projects are based on metalworking techniques, some basic, some advanced. Each of the earring designs are unique and stylish, some modern some classic. A great book to have on hand for inspiration, or to learn something new! Tell me what type of earrings are your favorite to make? I will pick a random comment to win, on Monday morning, July 19th. Oh me, me, me! I love the look of this book for inspiration! It is hard to choose. I like to make really bold statement making earrings, and i like to make those little subtle earrings, that go with everything - you never have to take them out. This is a fun giveaway!! Thanks for sharing!!!! I agree with the comment above. There are earrings for every occassion. Some dangly that you don't have to wear a necklace with and some short or post-like that would go nicely with a necklace or as a set. My favorite earrings to make are similar to what is on the cover of the book - something simple on a longish drop, with beads and a surprise at the going on (the fun cap)to make them interesting. The earring I wear the most are large silver filigree hoops from Mexico (a la Frida). I also like adding tiny beads to large hoops. The designs in this book would be great to keep me busy at night after dinner! Thank for another fabulous giveaway. I love to make earrings - this book looks like it will have fantastic ideas to learn from! My favorite earrings are dangly ones, but I love trying new ideas & getting inspiration from jewelry designers. this looks like a great book..
i seem to wear gemstone and silver smaller earrings..but i love the look of dangly long ones on other people.. This looks like a great book to have. I've mostly been making simple drop earrings to beef up my own jewelry collection for my office job, but I really like cool earwires like the one on the cover and have made several of those, too. My favorite are beads/gemstones dangling from interesting shaped earwires. Simple, but the earwires make the statement!!! Looks like a GREAT book! Thanks for the giveaway! right now im really enjoying using shell in earrings. they are perfect for summer, light, with lots of movement and color. I make a lot of necklaces with natural brass (Vintaj! ), and sell them individually. Sometimes the earrings that "match" don't sell at the same time. So, right now, I'm into making earrings that are only brass - no other colors. They go with everything and are easy to wear! The book looks great - who doesn't like immediate gratification?!!! I like medium length dangles with a little silver thrown in. I love making earrings with crystals and sterling silver. This book looks like it has a lot of inspirational designs and I would love winning it! Thank you for the giveaway! Cheryl W.
For a while now I've been making longer, dangly earrings. Some are sparkly, and some earthy, some playful, but for some reason the long ones are really sparking my creativity now. My favorite earrings to make are french earwires with a bead and then a dangle. Not too short, not too long...just right! Looks like a nice inspirational book. Thanks for giving us a chance to win it!! I know I should like the more complicated, more artistic earrings I usually make... But my favorite earrings are always the quick ones I make at the last minute to go with a particular outfit! I like your new Harbinger collection. Beautiful! I tend to be most satisfied with simple designs, just a simple stone or pearl hung from a hammered ring, but for true pleasure I find working with PMC is the ultimate. I link to make short and simple drop earrings, because that's what I like to wear. are very long and dangling with alot of brass going ons..maybe some coins on it too! Thanks for this chance! I love making long almost shoulder brushing earrings. But I also like quick one or two bead earrings too. I Like something quick and silver or bronze-- it goes with everything. I would truly enjoy a book like this !! My favorite kind of earrings are medium length, mostly metal, with one or two accent beads for a pop of color!! I've been making lots of wedding jewelry lately for my job. So I would have to say right now that long dangles of sterling linked Swarovski crystals are my favorites. Simple but stunning. This book looks like it could break the hold that those crystals have on me. Hope so! I loooove to make fast, simple, dangly earrings with gemstones and then add crystals for that sparkle factor. 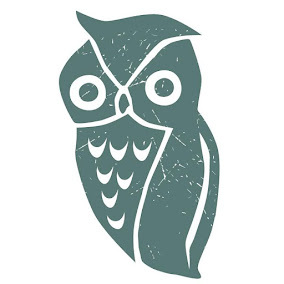 Such a sense of accomplishment to start AND complete a project in 30 minutes or under! Thanks but once again for your awesome generosity! I love cluster earrings with boro beads and gemstones. Can't. Get. Enough. 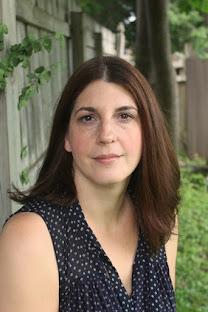 i just found your blog and wow! i can't wait to read more! I have eclectic taste so I like to make all kinds of earrings. The earrings on the cover of the book look promising and I would like to try my hand on those. Another great book giveaway! Wow! My favorite type of earrings to make are dangles with coils that I learned last year at Beadfest in Philadelphia. I've started making prong earrings and love the look. I love to make earrings that sparkle and have movement! Would love to have this book for inspiration. For myself, I keep it pretty simple. No long sparkly dangles. But I do like making more elaborate earrings for other people. (still no sparklies, though.) Would love to win this book! I keep it simple, too, with little dangles hung on hooks -- would love to have this book so that I could spread my wings a bit. I would love this book! My fav is playing with my own lampwork beads and Swarovski crystals! I also like medium length earrings with a dangle. Thanks for this opportunity to win this book. I am an earring fanatic. I like to take 2 similar but non-matching antique items that weren't intended for jewelry and pair them with hammered ear-wire and maybe some fancy gem or mineral. I also like addling a strip of grungy old fabric behind the focal elements to make them into dangles and incorporate soft texture. i am a lot of a loser when it comes to making jewellery thats why my fav's have to be those made by Lorelei. but, a few weeks ago my husband bought a posh pair of trousers. they came with some spare buttons (as they do). i love Coraline, so i took those buttons and made myself some cool Coraline earings. and they actually do look like a bit if fun. and i have worn them too. Mom and I love making earrings that incorporate both our enameled copper and lampwork beads. I am also into making little enameled copper hand earrings right now. I am experimenting with enamel colors and I am really happy with the way the colors are turning out. I like to make my own ear wires particularly in copper and hang from them old game pieces. I love long, dangly earrings with lots of movement--chain, charms, dangles! I usually make short drop earrings but would love to do something a little more adventurous! Love that book! My favorite earrings are simple. A simple hammered hoop with a dangle or a few simple dangles connected. Simple, elegant. My favorite earrings to make are earrings with drop beads or with chain. They are the fastest earrings to make too. Hope I am a winner. Oh, I love to have this book! I like shorter, go with anything earrings so that's what I like to make.